Our Sprayer and level of Customer Service will practically blow you away! 1. Are you serious about gardening or cleaning? Tune in. The sprayer features secured seals and o-rings and a spray filter to help prevent clogging. Don't be fooled by the reasonable price; we're here to eliminate pests and weeds, not to empty your bank account! 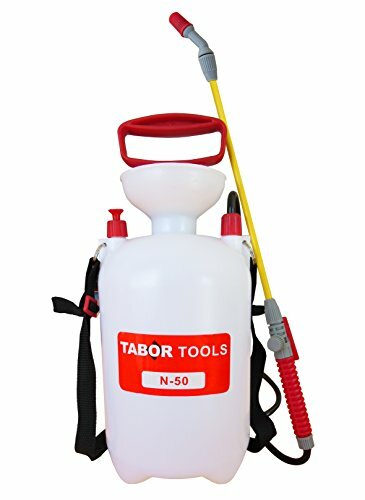 This sprayer features a comfortable 50" long reinforced hose, adjustable nozzle and 16.5" wand. The bottle has a large, funnel top opening for easy mixing and cleaning.